Happy Friday! TGIF am I right?! It has been A WEEK in this household, and I ain’t gonna lie, August is starting to show its true colors. 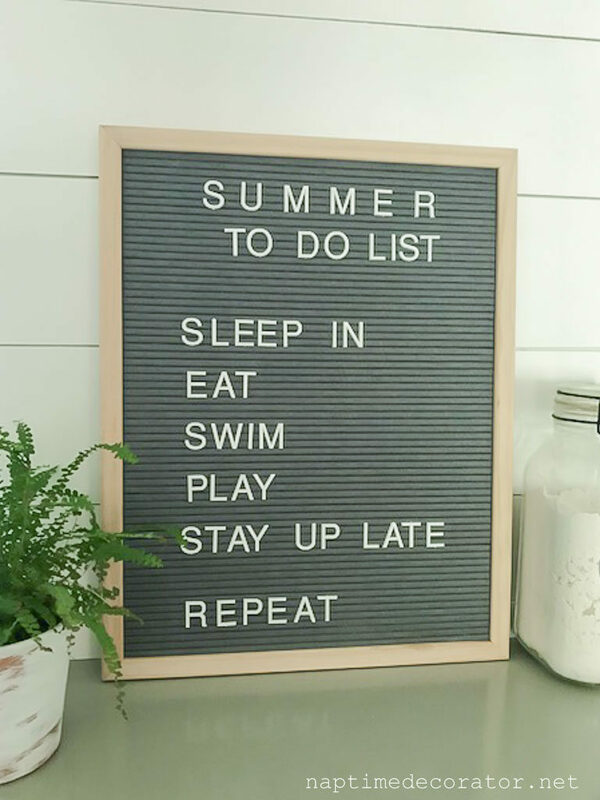 Anyone else in the same boat – the one where the lack of schedule in June is so SO glorious, and then mid-August hits and you’re all like, um so yeah, a lil’ routine would NOT be such a bad thing right about now! 😉 Been that way this week around these parts! I mean, our Summer To-Do List has been amazeballs, but it’s getting to be that time. Speaking of, let’s talk about that to kick off FTF! We NAILED this to-do list, you guys. I am telling you. This sweet spot we were talking about last week – it’s pretty fantastic. And we have enjoyed these lazy days of Summer to the max. I am a big believer in down time, and think it’s necessary for all of us to just CHILL once in a while. The school year is insane and we are running here, there, and everywhere, so let’s just recharge those batteries and sleep in, eat, swim, play, stay up late, and repeat. Summer 2018, yes, you still have a couple weeks left, but thanks for the fun, the sun, and the downtime we all so desperately needed. I big fat heart you. That is the beauty of charcuterie you guys. Somehow, all those random fruits, veggies, meats, cheeses, hummus, dip, nuts you have around – you throw them all on a tray and it’s like suddenly there is a bounty before you of perfect munchy deliciousness. 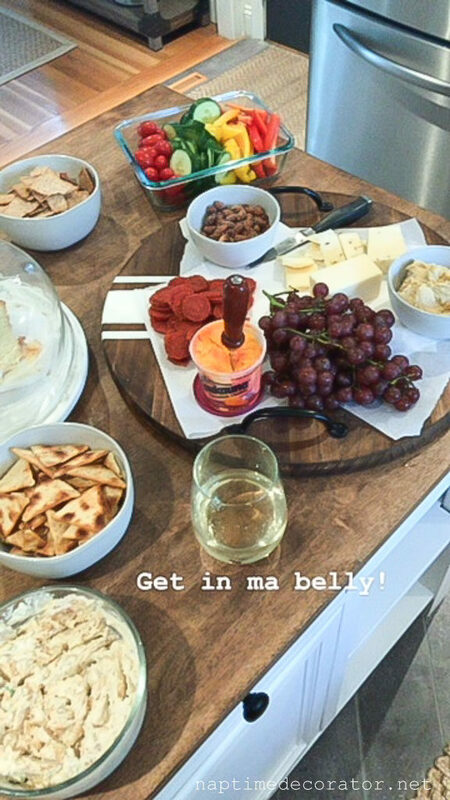 I like to keep my fridge and pantry stocked with just a few things – there’s always a box of crackers and a block of cheese around, nuts, usually pepperoni or salami, and always have fruit, hummus, and raw veggies of some sort – perfect when you have last minute guests coming over. You can always serve something if you keep a few staples in the house. I could seriously replace my dinner with this kinda stuff every night. Ok, maybe that’s a stretch, but I sure do love it! A pretty round tray is perfect. Bonus – the trays look super cute as decor in your kitchen when it’s not in use! 😉 This one in the pic was a DIY (hence the parchment paper underneath!) but here are some cute options! Here’s an affiliate link to pick one up for yourself. I’d love to hear if you love it, too! I have this devotional and love it! 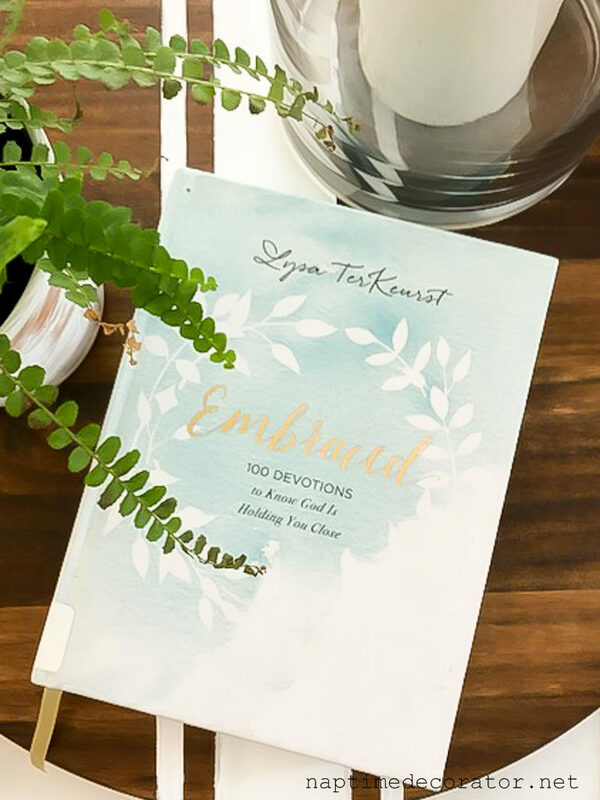 I love all things written by Lysa TerKeurst. I feel like I know her! 😀. So relatable! Also, now I’m gonna have to have one of those round trays! Love! I would love to make trays as gifts – I’m hoping you’ll be posting your craft night (yes?) thanks!